Near from Palopo there is an island named Pulau Libukang. The island with a distance for about 2 kilometers from the city has an area of about 8 hectares. Libukang Island is can be reached by using a motor boat. This island is the legacy that handed down from Libukang Island community, and it will not be owned privately because in this island there are sacred grave from the locals. The tomb that located on Libukang is the tomb of Lady Hawang and lady Poko’, they were the island's first inhabitants. The island is used to plant some promising agricultural commodities, such as cloves and cocoa. Seeing the nature panorama from this island, that rich in culture and customs can be one of recommendation places for you to take a vacation with friend and family. In addition to the ocean scenery and its white sand, at Libukang we will be able to enjoy the beauty of the mangrove tree that lined up and the refreshing coconut trees standing on the beach. Libukang Island is also known as Pulau Harapan or Hope Island. 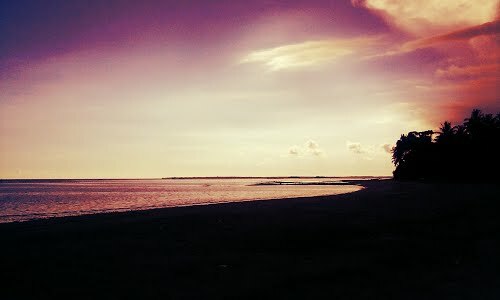 This island is located at Mallasoro bay, in Palameang hamlet, Bontorannu Village, Bangkala district, Jeneponto Regency. The total area of this island is about 5 km² with a circumference of 1.8 kilometers and it can be reached by walking around the island for an hour. The island has a population of 116 people, made up of 68 heads of family who occupy 58 houses. There are two or three families in one house where the new families who have not been able to build a house usually occupy the bottom of the main house that shaped traditional stilt houses of Makassar Bugis society. The island does not have mangroves around the beach that makes the beach tends to experience abrasion. The pattern of settlements are located on the west side of the island, while in the east is more often used as gardens to plant cassava, vegetables, basil leaves, banana and mango. The source of livelihood other than fishing and harvesting seaweed is also taken from goats and ducks livestock. The goats on the island are somewhat unique because it can live by eating the litter from the sea because the grass is rarely found in this island.